Nothing makes you feel like a cute little grandmother faster than whipping up a pie crust from scratch. We live in a high-tech world but making pie crust is about as low-tech as a wooden spoon. 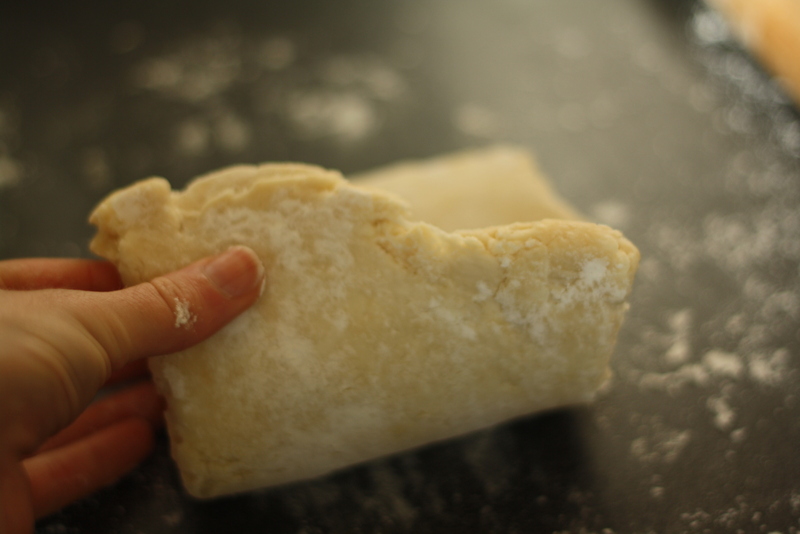 Homemade pie crust has a bad rap. I would like to change that. Making pie crust from scratch isn’t about crazy secret ingredients, or unearthing some new fancy technique. If you work quickly, keep everything as cold as you can, and give your dough a little love. You will be saying, “Man, making homemade crust is easy as pie!” before you know it. 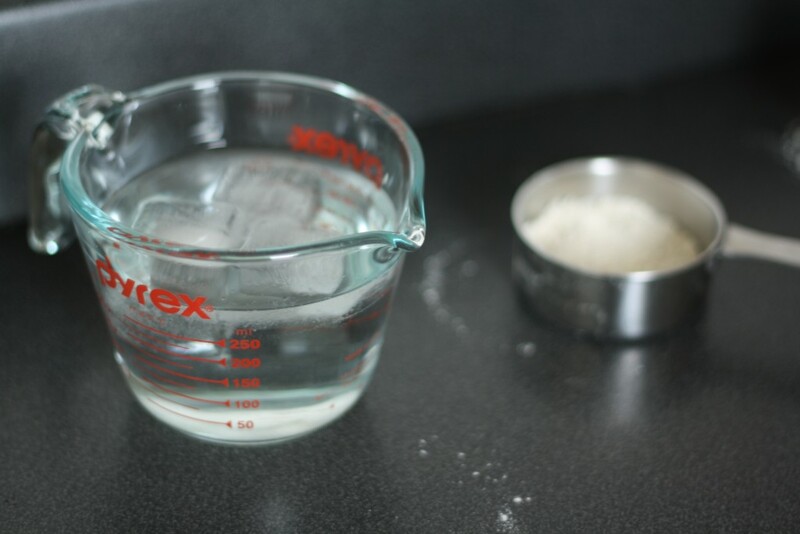 Measure out a cup of water, drop in a few ice cubes, and keep it in the fridge until you need it. In a metal bowl (for maximum cold factor) measure out your flour, sugar, salt and put that in the freezer too. Did I mention that everything should be as cold as possible? 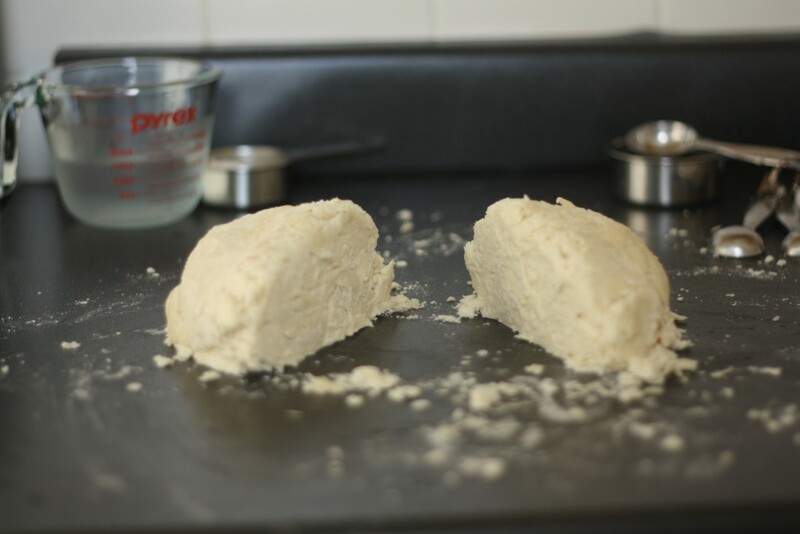 Two sticks of frozen butter – our superstar in the pie crust. In my opinion, pie crust should always be one hundred percent (written out for full emphasis) all butter. 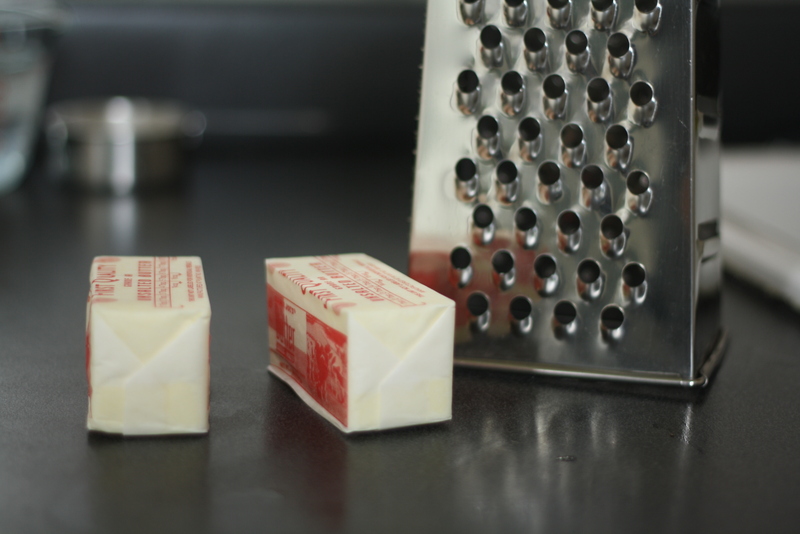 Butter makes it better, and shortening just generally freaks me out. 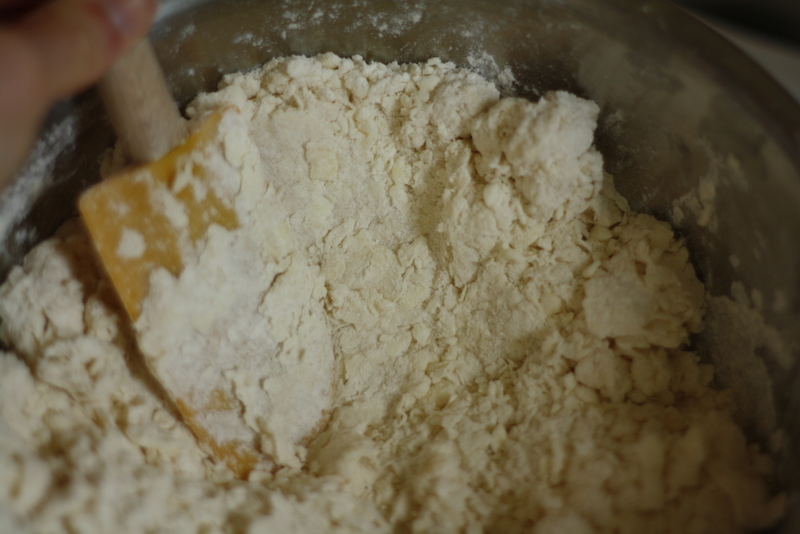 Working one stick at a time, grate the frozen butter, and add it to the bowl of flour. 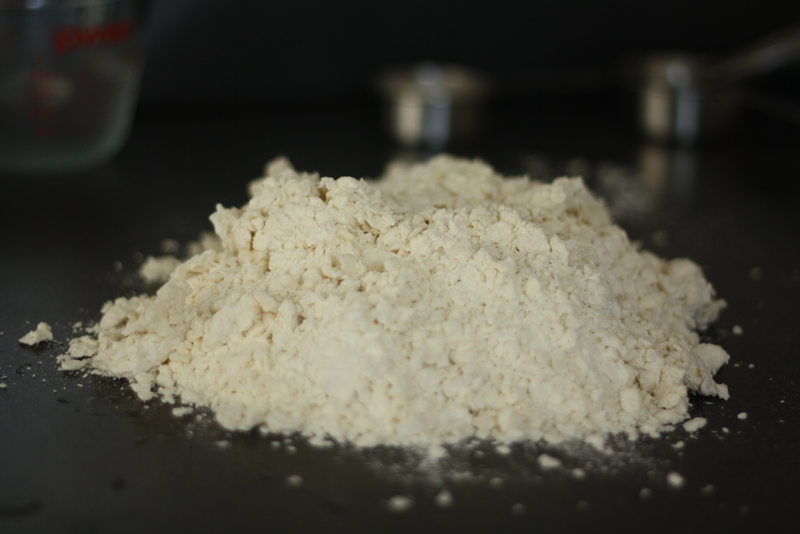 Keep the bowl of flour in the freezer while you grate the second stick. 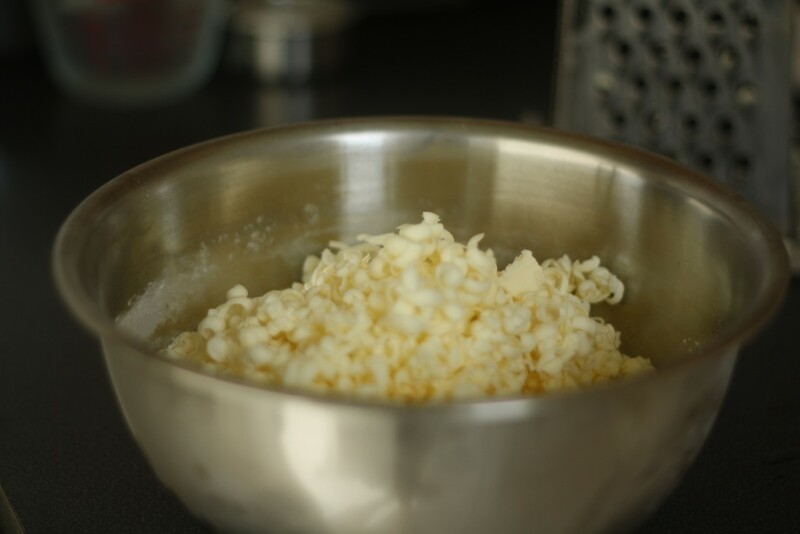 When you finish grating your butter, start combining the butter and flour together using a rubber spatula. You want all the butter pieces coated with flour. 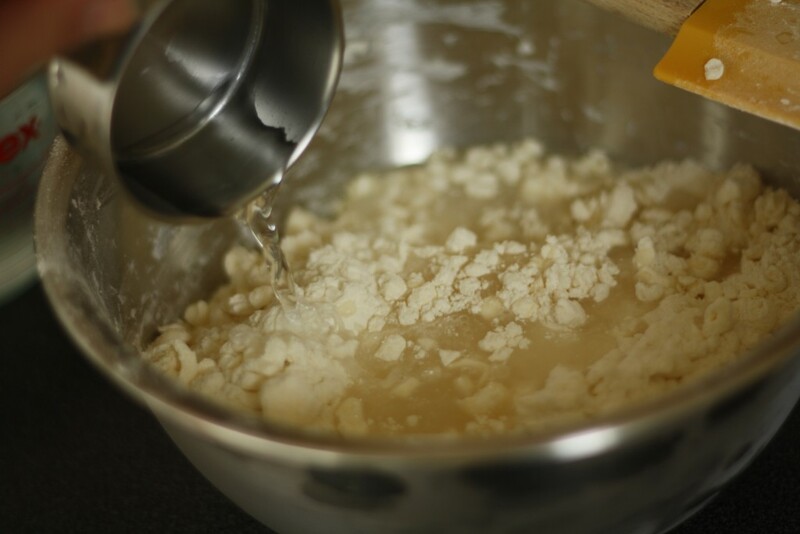 Add in 1/2 cup of the ice cold water (discard any ice cube bits that are still hanging out) and combine until the flour/butter mixture is completely moistened. You will probably need to add about an additional 1/4 cup of water before it comes together, but add it in one tablespoon at a time. 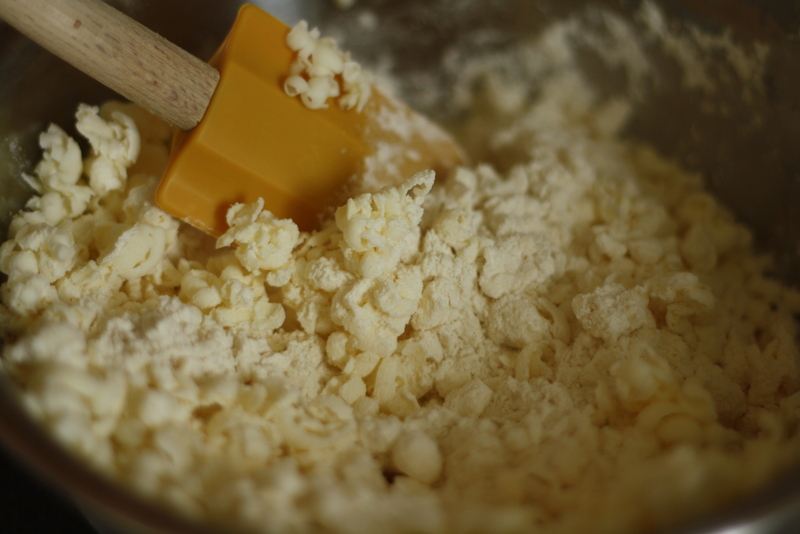 Turn the dough onto a clean countertop when it holds its shape, which you can test for by pressing the dough against the side of the bowl with your spatula. 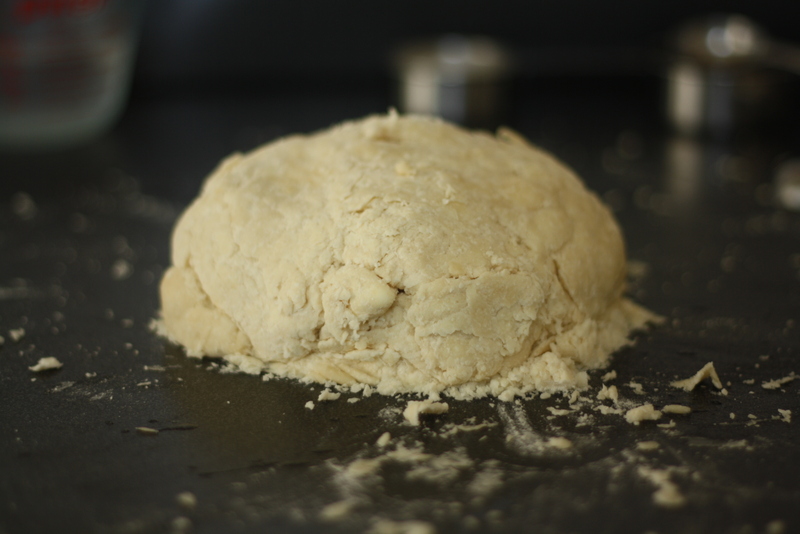 Working quickly, gently begin to bring the dough together. Keep pressing and guiding it together so that it forms a large ball. Look at that thing of beauty! 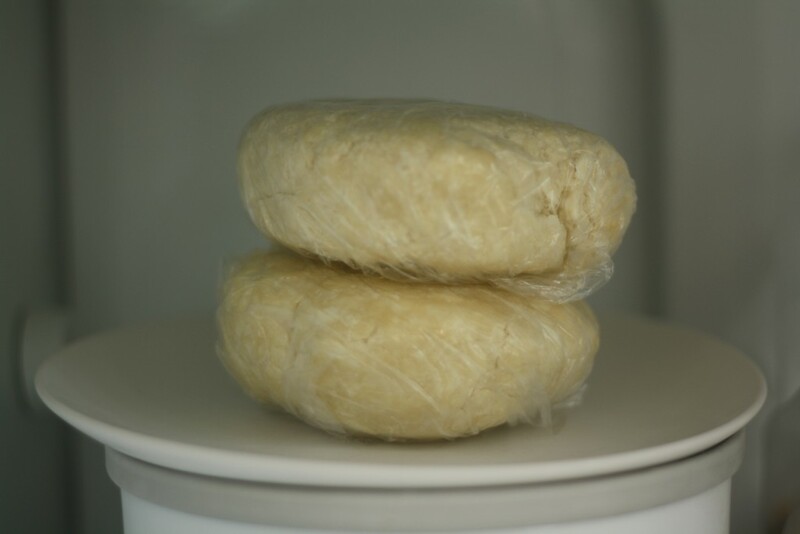 Divide your dough into two equal pieces, pat them into rounds, wrap them separately in plastic wrap, and refrigerate for at least two hours before you roll them out. 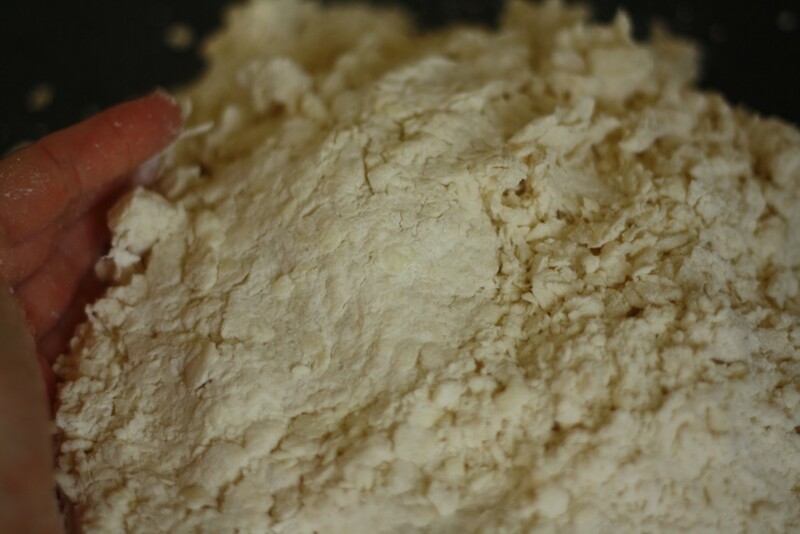 You can leave your dough in the fridge for about a week, or in the freezer for longer. Just defrost your dough in the fridge the day before you make your pie. 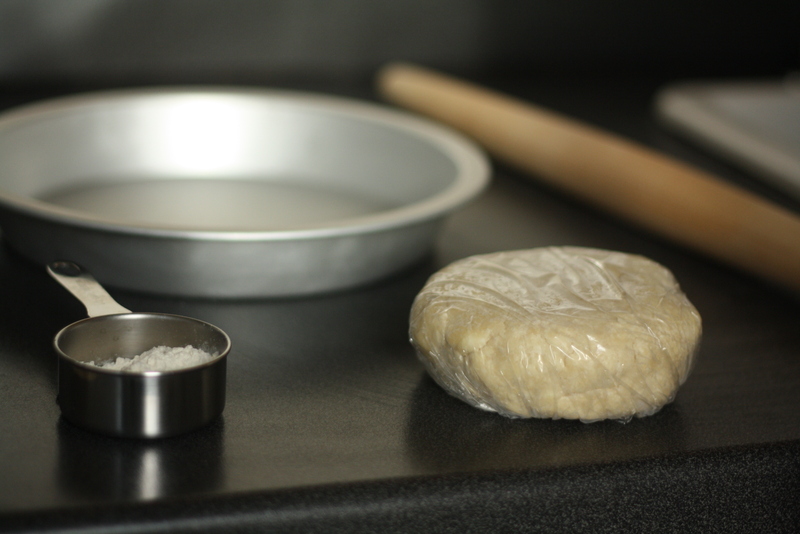 Dough Rolling 101: Are you ready to get your dough roll on? We are going to roll out a single crust pie. You will need a pie plate, a lil’ cup of flour for sprinkling, a rolling pin and one portion of dough. 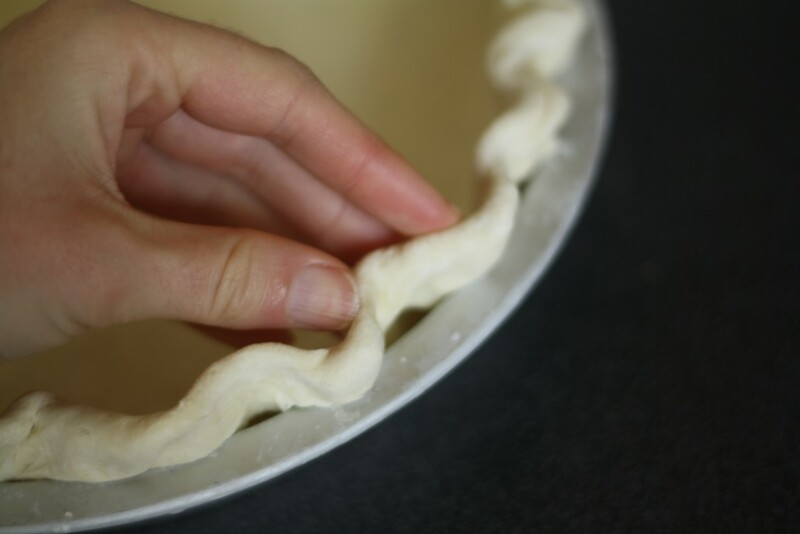 Dough Rolling 102 will cover the steps on how to roll out a double crusted lattice pie, but we will get there soon. Promise. First, flour up your surface. Don’t be shy with the flour! It will help the dough not stick to your countertop, and that will generally make your pie-rolling experience more enjoyable. 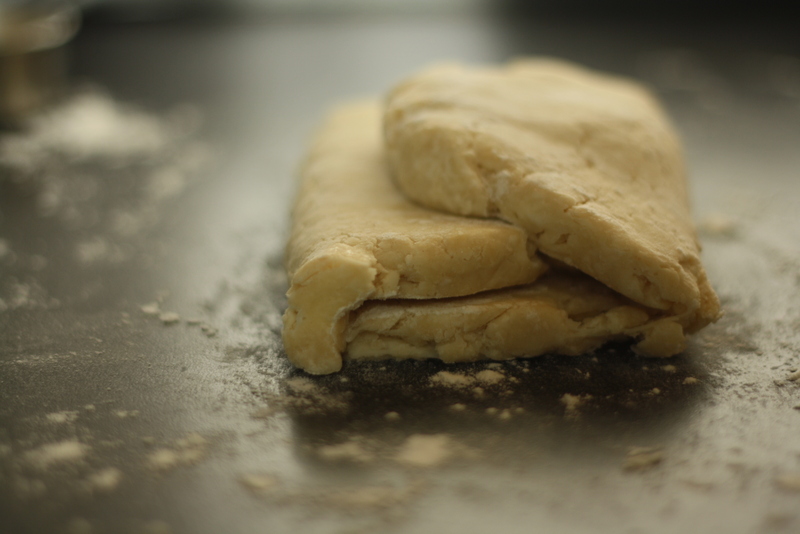 Begin rolling your dough into a rectangle. We are going to give a little nod to the croissant and make the crust super delicious by adding in some thin layers of butter and flour which will bake into flakytown. Fold the rectangle into thirds as if you were folding a business letter, and then turn it 90 degrees so the seams are now on the sides. Repeat this process again so that you have rolled and folded a total of two times. 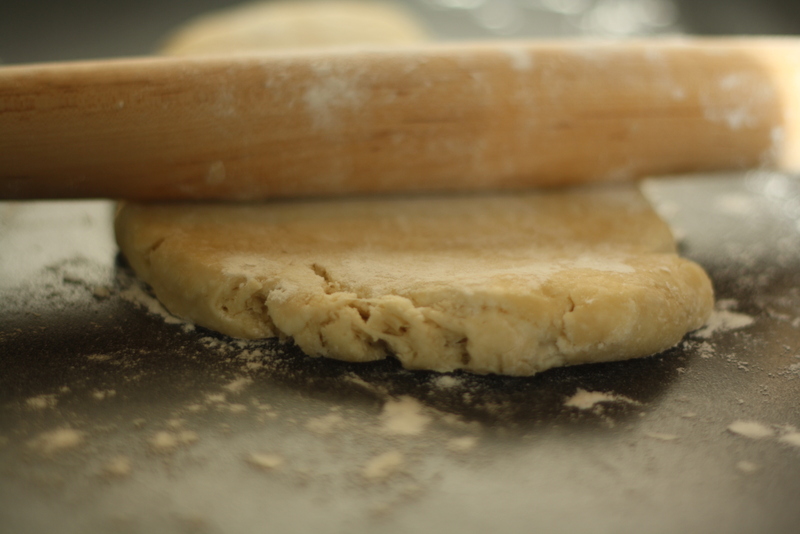 At this point, chill your dough for 30 minutes so that your crust stays cold. It will be worth the wait. You are now ready to roll it all out! 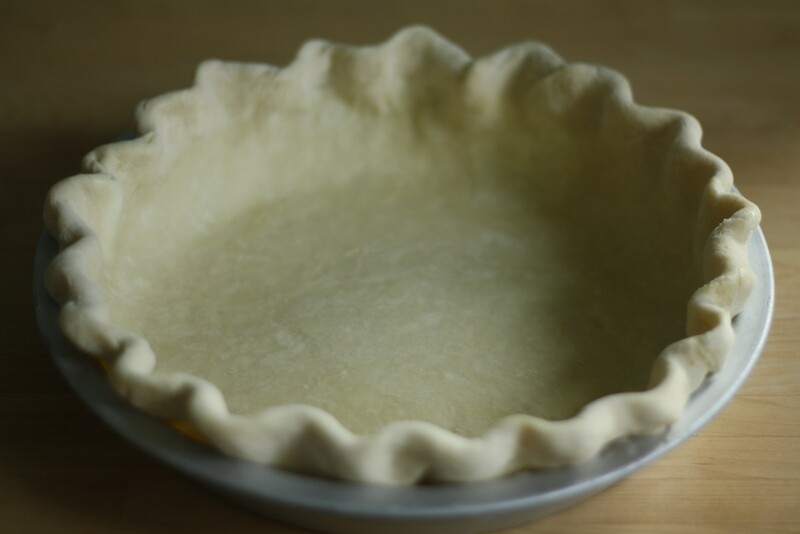 Sprinkle your surface with flour, and working from the center, begin rolling the dough into a large circle about 2-3 inches larger than your pie pan. Flip the dough over every few rolls so that it remains an even thickness and keep sprinkling your surface with flour so it doesn’t stick to the counter. 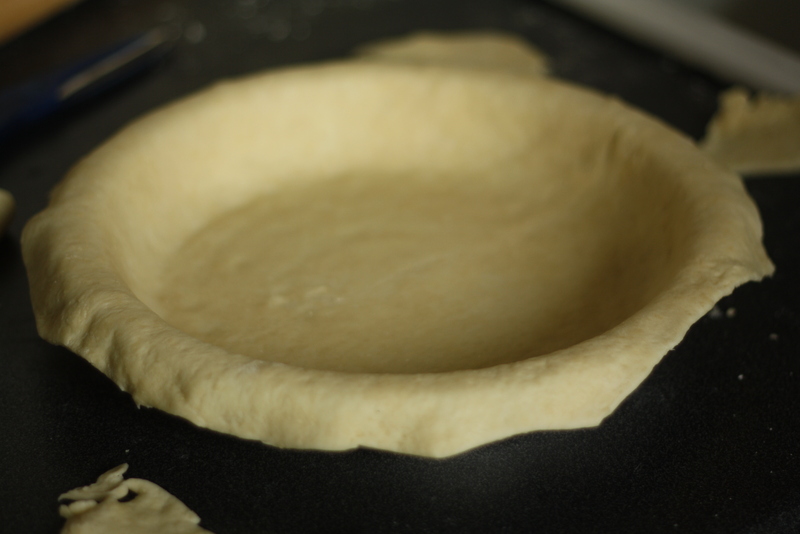 When the dough is large enough, fold it into quarters, and gently guide it into the pie pan. 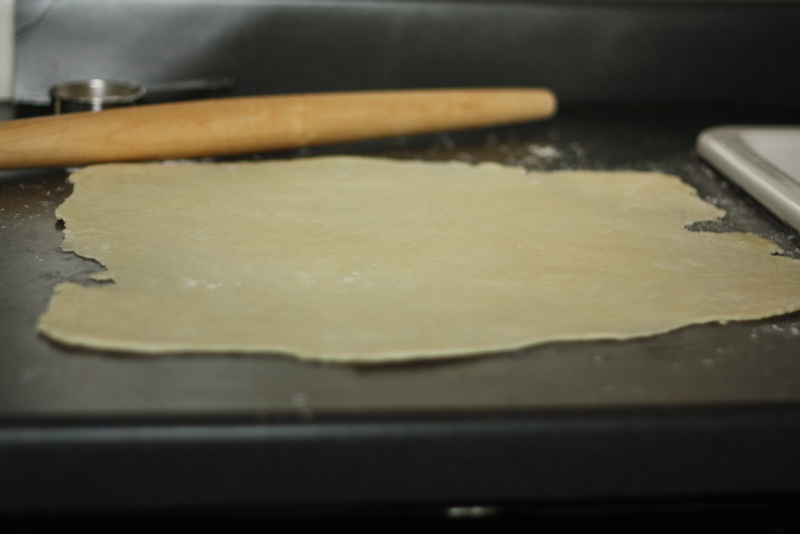 Unfold the dough and press it into the sides of the pan. 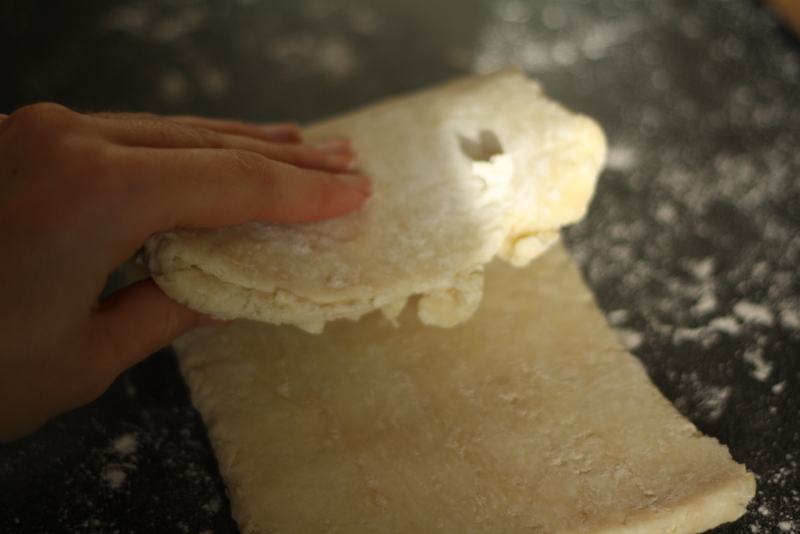 Then using kitchen scissors or a knife, trim the dough so there is about an inch or two overhang. 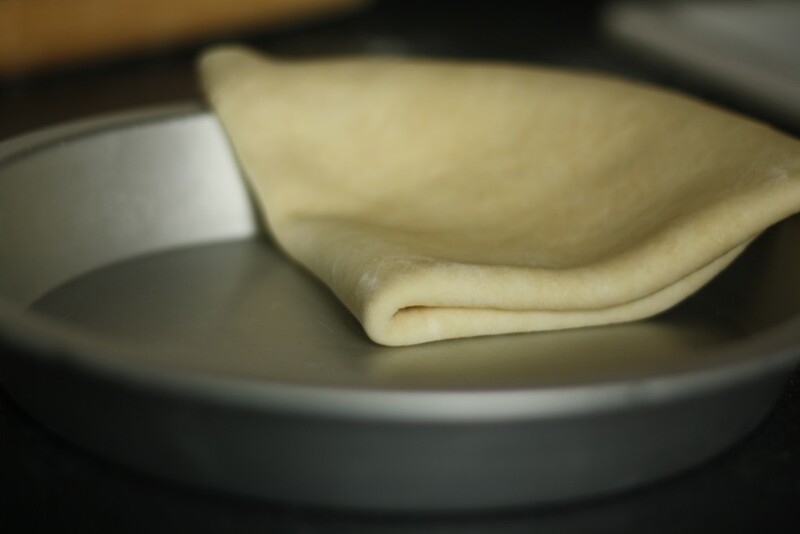 Fold the dough under itself so that it is the size of the pan. 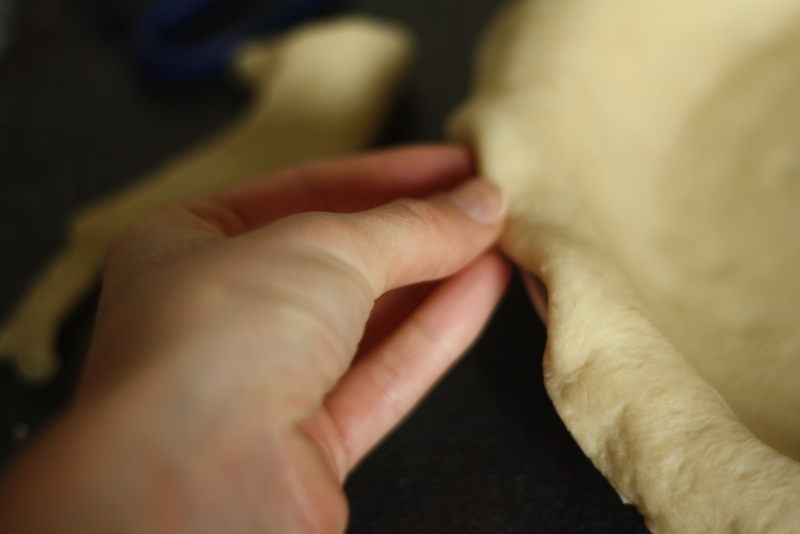 Form a V with your index finger and thumb and press the dough into the V with the index finger of your other hand. Ta-da! You did it! 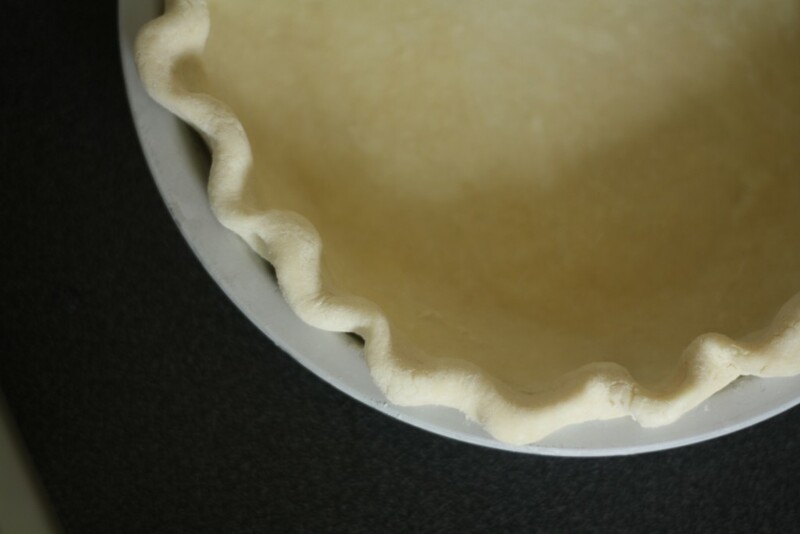 A pretty little pie crust ready to be filled with all things delicious. Beautiful! Did my first failed attempt inspire this? a cheese grater! oh man that is genius. Yes, it makes perfect butter bits every time! this is hands down the best pie recipe to date! thank you lillie…you made my Christmas dinner pies all the more tastier. How do you actually bake it?